A few coupons have reset at Coupons.com. 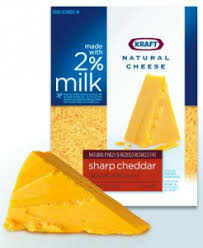 Kraft Cheese $1/2. Making then $1 each with Smith's Big Game Sale. Gold 'n Plump Chicken .75/1 Here's a deal I scored with this coupon. It could happen again....I hope. GE Compact Fluorescent Light Bulbs $1/1. I was able to get these free during an Ace sale. I guess my point is, these are good ones. Print them twice by just pushing the back button when your done printing the first time. Also there will be new coupons for February so make sure to get all the ones from January that you want before the end of the month. Audrey, I love that you are doing this blog. I've been following it for a couple months now but thought coupons are not for me. Last night I finally decided if your family of 4 can spend 200 on groceries a month, our family of 2 can certainly spend less. So last night I officialy "clipped" my first coupons and used them today at Smith's. It felt good! !